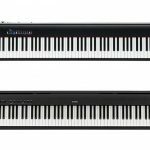 Yamaha P115 and Roland FP 30 are two impressive and affordable digital pianos that you can purchase in the market today. Both of them come with great abilities and almost equally good. If one of the catch your attention, go read our article below to help you choose which piano will suit you better the most. If you are already familiar with Yamaha portable series, Yamaha P115 should ever catch your attention before. 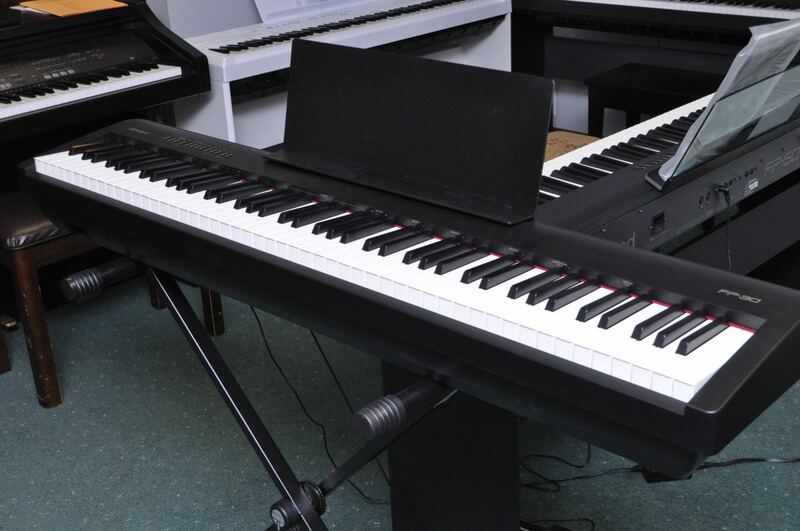 This piano is released as the successor of the best-selling P105, so it also comes with some similar feature to its predecessor but also with some improvements. 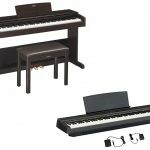 What’s making it popular among the users is not only it able to performs like a professional piano, it also comes on such an affordable price, which making it the dream for people who spend more than 15 minutes a day on a piano. From the outside, Yamaha P115 looks just like your average digital piano. Measuring at 58.2 x 16.1 x 11.8 inches in 26 pounds, this piano is suitable for your home use or bring along in your journey. All the controls you need to set the piano is placed conveniently at the top front while you will find the speaker in each of its side. 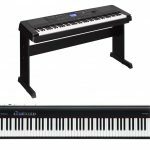 Similar like many other digital pianos, you will have an option to purchase only the piano or in a bundle with the bench, stand as well as pedal by adding some more. 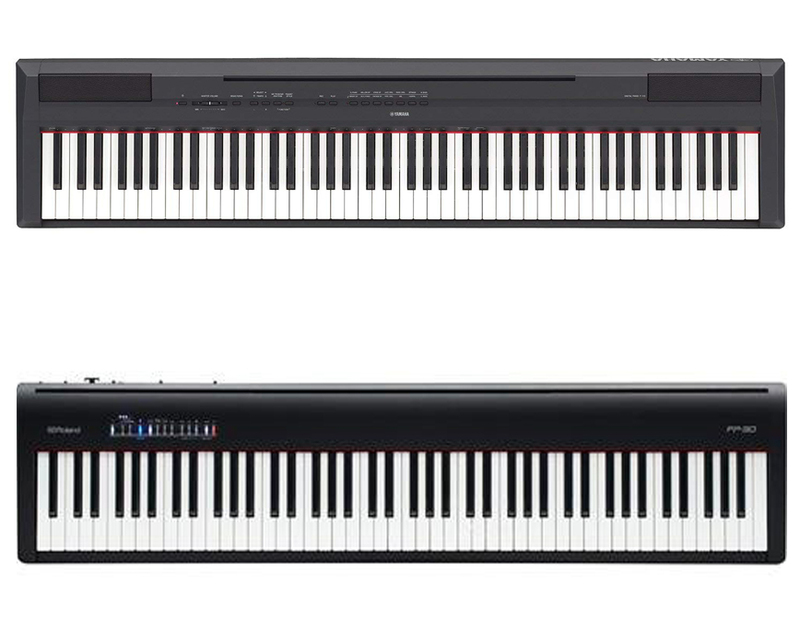 Read also: Yamaha P71 vs P115 here. 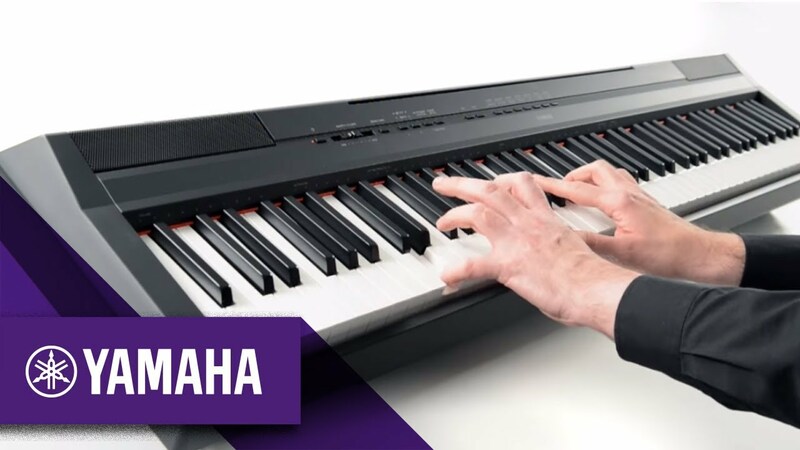 As it has been mentioned earlier that Yamaha P115 is the continuation of P105, so what’s improved in the newer version includes the sound and overall quality. The sound in this piano boast the sound recorded from the famous Yamaha CFIIIS concert grand piano that has been increased in quality for it is now sound better than the P105. Overall, it has clearer and more vibrant, which resembles acoustic piano much more while the speakers are able to produce full low frequency and pure bright tones in the higher register to make it even better. As we know, the greater polyphony count, the better and closer a digital piano to an authentic ones. The polyphony count in Yamaha P115 is increased from 128-key in P105 to 192 keys, so now you can play multiple notes or layers simultaneously without the dropping out sound. The piano also comes with 17 different instrument sounds, such as the grand piano, bright piano, Wurlitzer, and Rock organ while the rhythms also has been increased. Another great thing in Yamaha P115 is it comes with 10 piano styles. This function let the piano play in a style and act as accompanist while your hand will be free to create fuller melodies. As for the connectivity, now you will be able to connect it to your computer via USB to Host connectivity and an app called ‘Digital Piano Controller” for iOS users to help you change the settings and sound in much more convenient way. 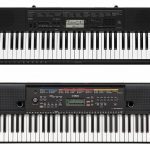 Roland FP 30 is not a new player in the digital piano market. This brand have been around for quite some time and being many artist choice for the quality. 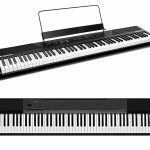 This Roland FP 30 is also that one product that never disappoint you as one of the best digital stage pianos in the market especially if you take the price into consideration. This model is improved from the F 20 model, so it also comes with some new features, such as the PH4-4 action, new speaker, and many more. As a stage piano, the thing that you may want to consider is probably the portability. Roland FP 30 measures 55.2 x 17.2 x 12 inches in 43 pounds, which is light enough to be carried everywhere in your gig. 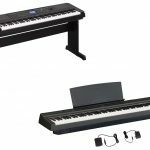 When purchasing the unit, you will also get an option to buy only the piano or add some more to get the stand and pedal board accessory to make it more like a permanent instrument for studio. The sound produced by Roland FP 30 is excellent and dynamic as well as packed with genuine pianist character. The engine used to deliver the sound is Roland SuperNATURAL piano sound engine, which makes the piano able to incorporate multiple dynamic sampling all the way across the full expanse of the piano itself. As for the feel, many people said that it is greater than Graded Hammer action owned by Yamaha because you can feel a real lightness of touch and a true pianist bounce that makes it more enjoyable to play. To deliver the sound, Roland FP 30 use the on board speaker that able the drive the sound and give the player the option to travel without a PA depend on your venue. It capable of producing around 102db, so if your event is a “background” type, the on-board amplifier should be enough. Coming in the unit, you will get 6 piano sounds, 7 electric piano sounds and another 22 sounds including strings, pads and many more. 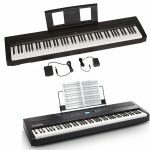 As for the connectivity, Roland FP 30 has Bluetooth facility to let you connect it to your iOS apps like GarageBand, so you can use the piano as a MIDI controller for the app’s sounds and deliver it straight to the piano speakers. If you take the price into account, the feature is quite impressive. 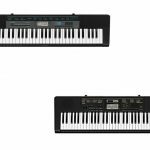 Now, let’s compare Yamaha P115 with Roland FP 30. 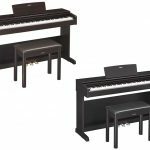 Both pianos are great for the price range and comes with more than enough quality. From the polyphony count Yamaha P115 is 192-keys while Rolland is 128-keys. From the sound, both sound great but many people said that Rolland sounds better with it’s superNATURAL sound engine as well as provide a better feel when played. From the connectivity Rolland use Bluetooth while Yamaha P115 use USB to Host. All in all, the decision is all yours to make. 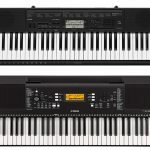 In our opinion, you should base it on your taste but if you don’t mind about spending a bit more in this article we will recommend you the Roland FP 30, for its better sound and feel when used according to its users.